We believe service is at the heart of the Christian life. It connects us with God, our community and ourselves. Where do you feel called to serve? Answer one of these questions to start narrowing it down. From there you can filter the results by ministry area, how frequently you can commit to service, or even your age. With a few clicks you can easily find ministries that call to you, add them to your list and check out. It’s like shopping online, only no credit card bills! Do you want your service to benefit our congregation or the outside world? Do you want to serve here on the St. Andrew campus, or out in the community? Do you want to serve one of our worship services? 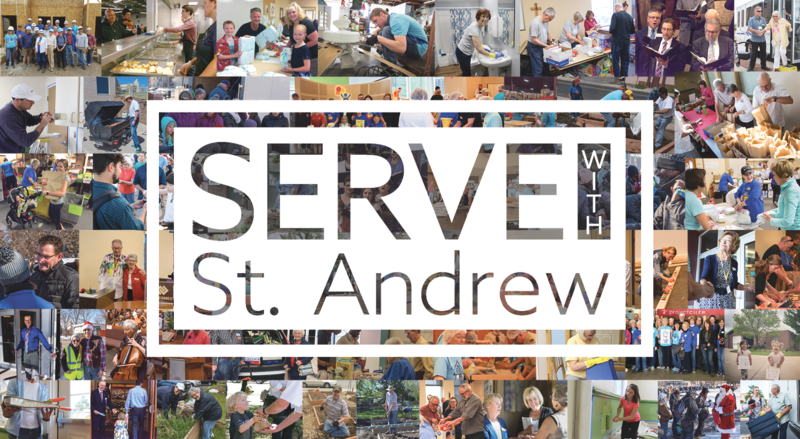 Learn more about all of the available opportunities to Serve with St. Andrew! Filled with full opportunity descriptions, details about each ministry, and other information. 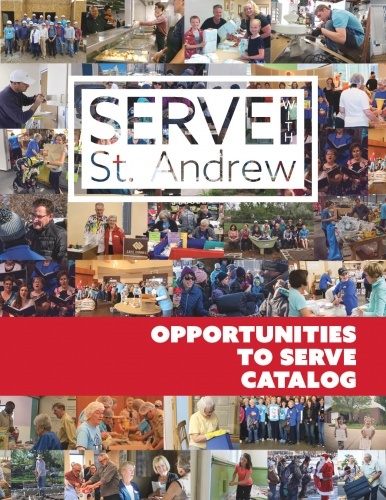 Pick up a printed copy of our Opportunities to Serve Catalog in the church atrium or download the digital version below.